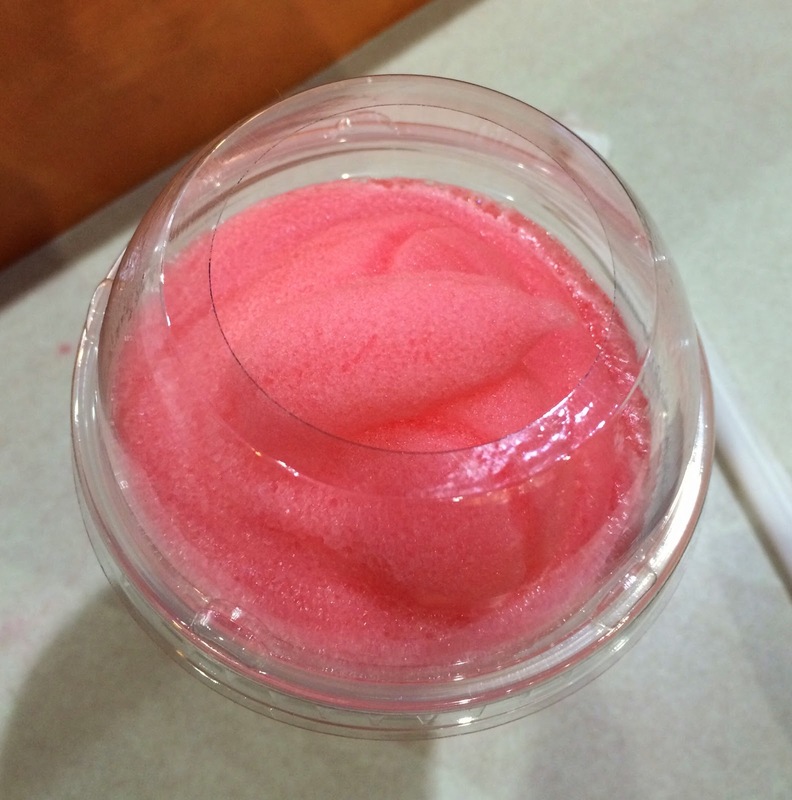 I got #Starburst Strawberry Freeze# today with Sriracha Quesarito at Taco Bell today. First I was gonna get a "Snapple Lemonade Freeze," that is also launched today, but somehow I forgot about it and ordered the other one. 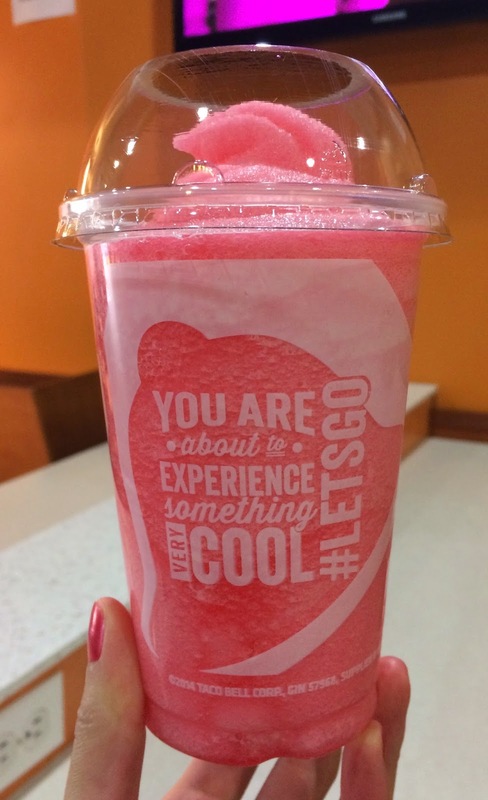 Starburst Strawberry Freeze has been sold since October 9, 2014. It's been a while since last time I had soft, box-shape, and fruity candies, and I only remember them as "fruity yet super sweet and chewy candies." Though it's a regular size, it's tall and large. It smelled sweet but less intense than the actual Starburst, but the color was bright yet pale pink as real strawberry flavored Starburst. I thought it had fruity artificial taste, but it's more like this Freeze copied sugary taste really well. And it's cold today (-4C / 04.8F), and it's not a good idea to get this in freezing cold weather.